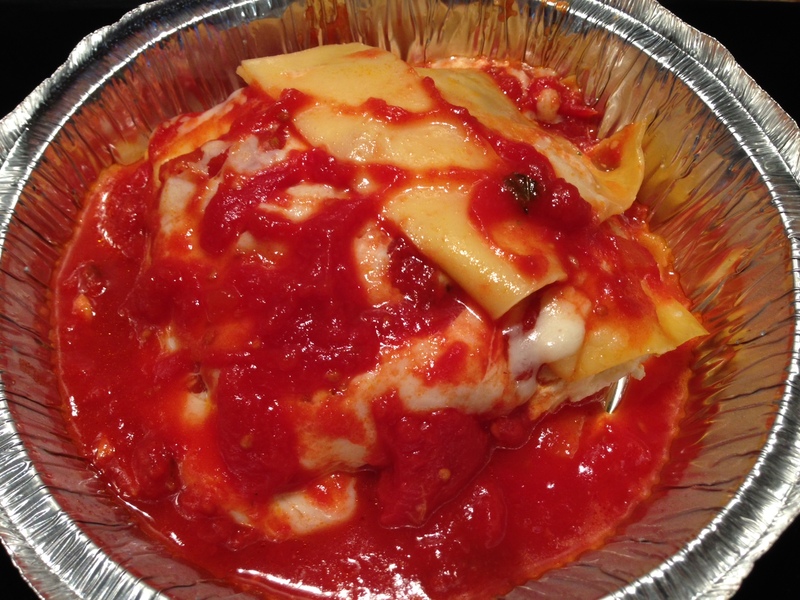 With the effects of the weekend’s hangover still looming, I decided to go with a little comfort food today – lasagna. But not my normal meat-laden lasagna with beef/pork/veal, but the 5-cheese lasagna lunch special across the street at Cafe Frankie’s. I usually get their $8.99 17-inch pizza special, but I really needed this comfort food today. I couldn’t eat much yesterday, and drank nothing but Pedialyte and water, so I need something I could eat but not overwork my stomach today, hence the cheese-only lasagna. I tell ya what – that was just what the doctor ordered. For a lunch portion, it was the perfect size. The marinara was tangy, the lasagna noodles were done to perfection, and all the cheese was… well… cheesy. Can’t wait to try their meat lasagna soon!